What's to debate? And why is everyone debating? Just ask yourself this simple question. 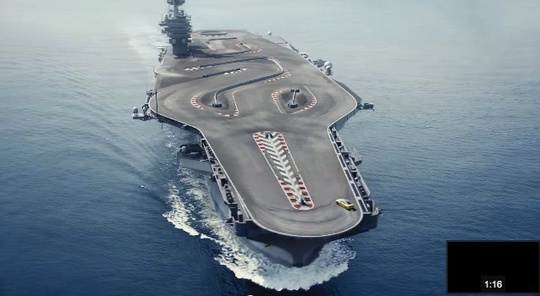 Even if it were physically possible to do so, do you really think the Navy is going to allow some marketer to modify an aircraft carrier so it can make a stupid ad? This is advertising we're talking about. Not national security. And last time I checked, the Navy falls into the category of national security, not helping marketers make stupid ads. Though, in this case, the ad is pretty cool! The whole brands takes over a town thing? So done. So over. 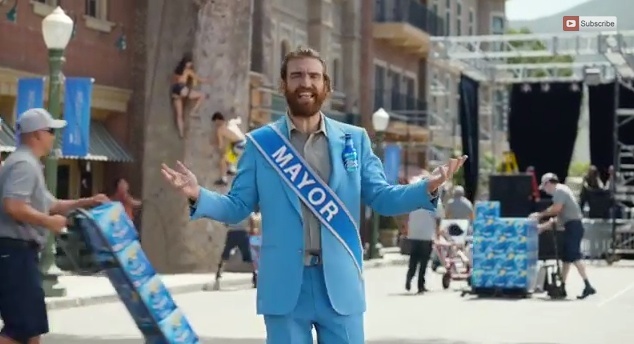 But when you think about it, Bud Light taking over a town and calling it Whatever, USA for a period of time just might get a pass? Why? Because the Millenials who came up with the idea were likely in junior high school when Half.com started the whole brand-renames-town thing way back in 2000. 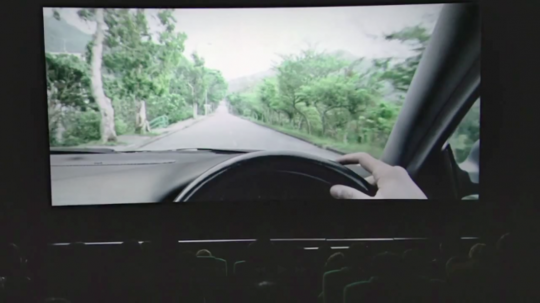 While it's unclear how the organizers of this VW don't text and drive campaign managed to send a text to everyone in a movie theater at exactly the same time, the message is an effective one and they way they did it is brilliant. Watch what happens as these movie goers view the screen and then receive a text. Ogilvy Beijing created. - Want to win some lipstick. All you have to do is lip read these lips. In Dutch or French. - Want to experience the smell of Rio de Janeiro? Check out this perfume. So perhaps you've all heard Google overtook Apple as the most valuable brand according to BrandZ. Many believe that happened because Google is more willing for try and fail with products that might not quite be ready for market whereas Apple tends to wait for perfection. So why did Google overtake Apple? In the tiniest of tiny logo revisions, Google has made a slight change to its logo. The change moving the "g" to the right one pixel and the "l" down one pixel, was first noticed by Roastmasters on Reddit. Of the change, Google said,"Great to see people notice and appreciate even single-pixel changes--we tweaked the logo a little while ago to make sure it looks its sharpest regardless of your screen resolution." 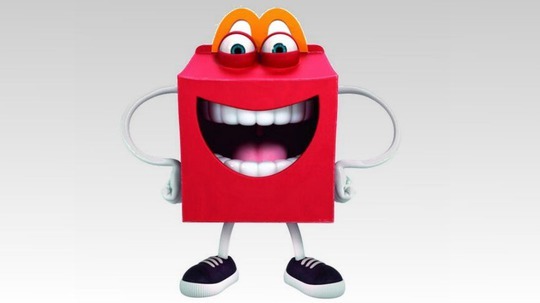 McDonald's New Mascot: Biggest Brand Fail Ever or Just Another Social Media Outcry From People With Way Too Much Time on Their Hands? It's almost becoming standard practice to trash the crap out of a brand for making even the slightest change to its brand. In some cases the changes are big and in some cases they are small but it seems as though every change is followed by an onslaught of social media outcry from people with nothing better to do than craft a witty Tweet that is then featured in the news which then causes the whole thing to spiral out of control. When AdFreak's Roo Ciambriello, who is our favorite new ad writer, said the new Cornetto Cupidity ad entitled 40 Love "is totally worth the watch" and is "a bit like a softer and sweeter Judd Apatow movie" and that there might be "Pabst Blue Ribbon in there somewhere," we were hooked. 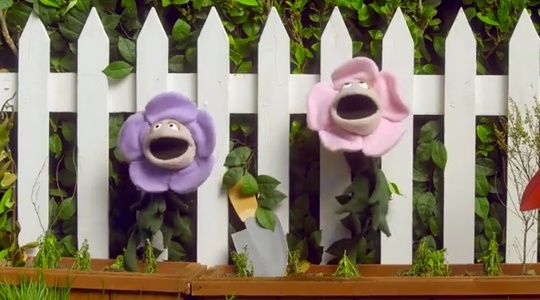 Following Intuit's Super Bowl spot for the Small Business Big Game winner, GoldieBlox, the company is also supporting the three runner-up finalists by providing each with their own 30-second spot to air on Fox Sports 1 and 2 throughout May and June. The runners up -- Barley Labs, Locally Laid Eggs and POOP Natural Compost -- will receive produced :30 spots. Having some fun with Saturday Night Live's CNN Pregnancy Test bit, home pregnancy test brand e.p.t. 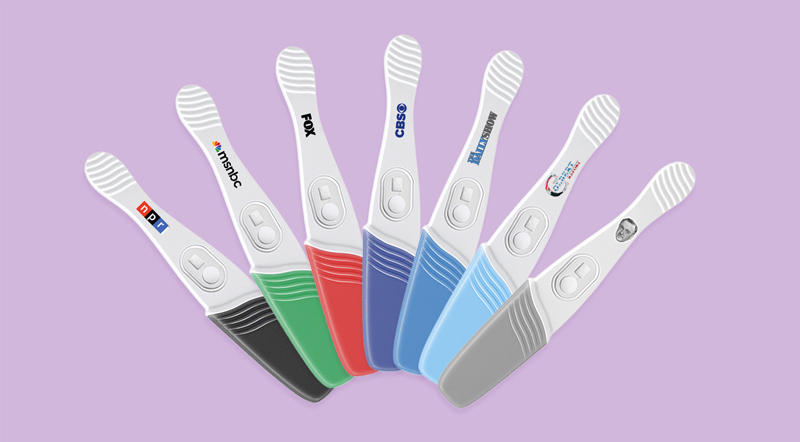 is exploring the creation of a series of limited-edition pregnancy test sticks that interact with women just like their favorite news programs. Of the sticks, Jennifer Moyer, vice president of marketing for Insight Pharmaceuticals, parent company of e.p.t. said, "We all saw SNL's sketch Saturday night announcing the new CNN Pregnancy Test, with its constant breaking alerts, even when there is no news to report. We think SNL has stumbled on a great idea, and we'd like to take it to the next level."